A redundant church standing beside a stream, just opposite the church of St Mary's in the neighbouring parish of Alton Barnes. 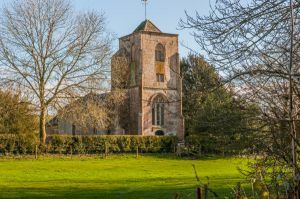 All Saints was founded in Norman times, but the current building is largely late medieval. 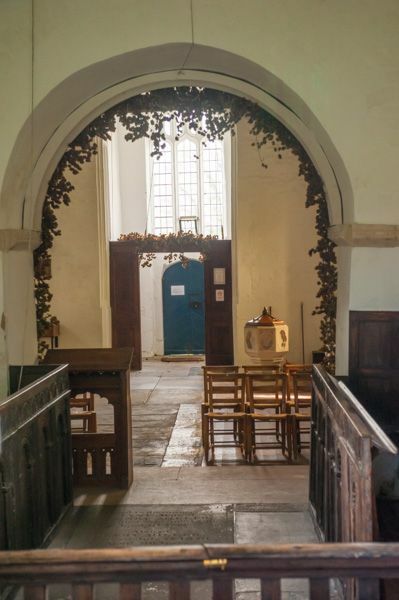 The earliest part of the church is the chancel arch, which survived from the Norman church on the site. 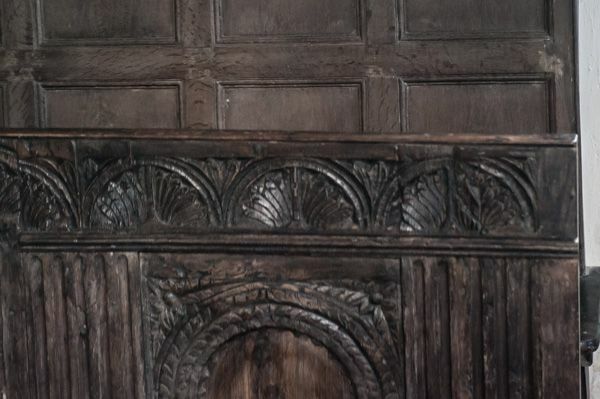 Within the chancel is a late Elizabethan tomb and a set of carved Jacobean pews. The Button family owned the manor of Alton Priors from the 13th to the 17th century. At the west end of the nave is a small memorial brass to Agnes Button, dated 1528. Agnes was married to William Button, an MP and aide to Thomas Cromwell at the court of Henry VIII. In the chancel is a brass to William's son, also named William Button, erected by his son, a third William. This third William was made a baronet by James I. The Buttons supported the crown during the Civil War, and Parliament seized some of their estates and imposed heavy fines on the family. The Buttons moved from Alton Priors in 1652 to Shaw-in-Alton. That village has now vanished, but 14th-century windows from the Shaw-in-Alton chapel are now to be found in the chancel of the nearby church at Alton Barnes, across the field from All Saints. 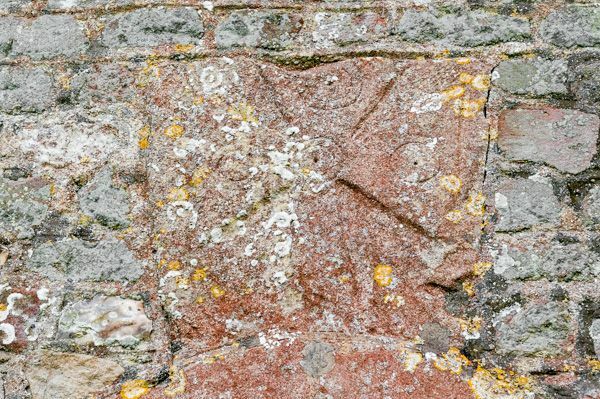 One exterior item to note is a consecration cross over a blocked north doorway arch. There is a scratch dial on the tower, and in the churchyard is an ancient yew tree which is thought to be as much as 1700 years old. 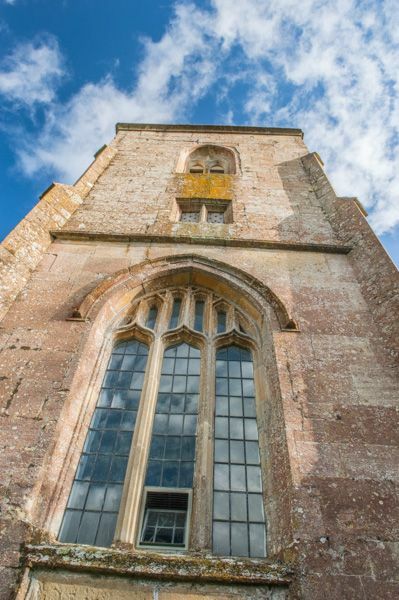 The church is no longer in regular use and is cared for by the Churches Conservation Trust. 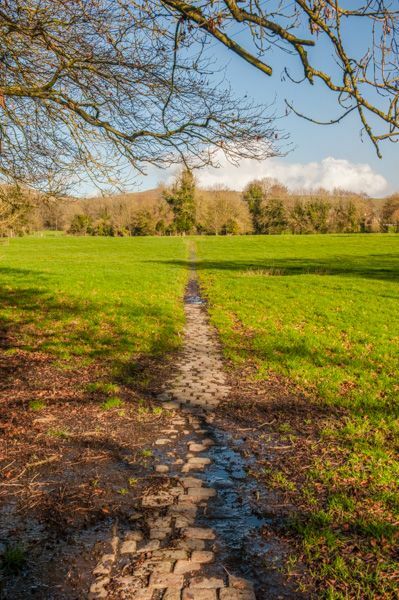 The only way to visit the church is by footpath, and I can report from personal experience that the path can be extremely wet. I highly, highly recommend good waterproof footwear. We found the church locked when we made it - with wet feet - to the churchyard. A sign directed us to a nearby house - across a waterlogged field - but the keyholder was not in, so we had to retrace our steps and be content with peering in the chancel windows, which were thankfully located low enough to allow us a good interior view. The church is apparently open daily from Spring-Autumn, and there should be a keyholder at other times, but as we discovered to our cost, that makes no difference if the keyholder isn't at home! Now, having got all that negative feedback out of the way; I've seldom seen a more beautifully situated church. 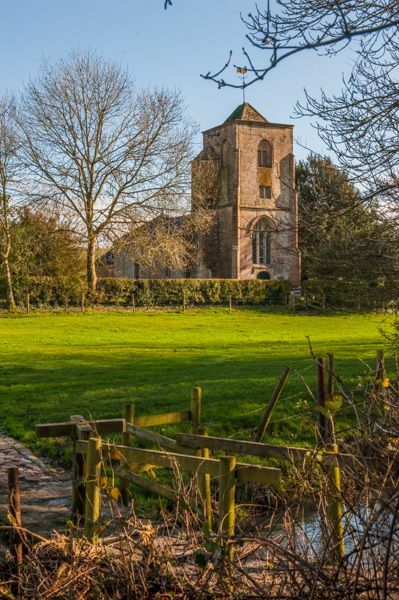 Approaching All Saints over a tiny footbridge, with a cobbled path leading to the walled churchyard, is a sight of pure rural delight.